There’s no doubt that marketing over the holidays can be tough. Many business owners and entrepreneurs are looking for new ways to reach younger crowds. What business owners are finding is that business SMS marketing works during the holiday season. If you haven’t yet tried SMS marketing for your business, why not consider something new? Business SMS and MMS marketing campaigns can be scheduled ahead of time to run during the busy holiday rush? The truth is that, on average, SMS messages have a far higher open rate than emails (98% versus 20%). Given that both are low cost, SMS has the potential to offer a much higher ROI. The ROI on text messaging would be much higher than other advertising when you do it well. Keep reading on to find a few reasons why you might want to try business SMS marketing during the holidays. Additionally, here are some examples of the different types of messages that you can use for various purposes. When it comes to promotions, deals, and bargains, sending a quick text to existing and potential customers is a great way to ensure that they learn about it promptly. During the holiday time, this is especially important, since people are out there actively looking for gifts, but they may be too overwhelmed by their shopping to stop and remember how much they like your store. Send them a deal as a reminder and an incentive. Customers are super busy around the holiday season, leaving them little time or inclination to attend special events or even sales unless it’s something really important. But if your customer base is local, or if you’ve tracked their data enough so that you know they frequently shop in a particular area, you can prompt them with flash sales and other in-store offers that may be time-limited and therefore targeted to a local audience. SMS is actually a great platform to test how well people respond to promotions and other offers, and you can use this information to build your databases and lists, as well as informing the rest of your digital marketing strategy. Businesses can send surveys to understand customer needs. When you understand what people want over the holidays this year, you can use it to make better marketing decisions next year. Between Black Friday, Thanksgiving, Christmas Eve and New Year’s, businesses have plenty of opportunities to celebrate around the holidays. Why not offer your customers and clients a treat on special event days? Things as simple as free food or tote bags can be especially tempting around the holidays when people are busy and tired from shopping all day. Successful MMS marketing doesn’t just rely on pithy copy and accurate, valuable information. Just like any other advertising channel, images and videos can go a long way. Images are especially useful when customers are shopping for specific gift items: they will need a clear picture before going out of their way to buy for their loved ones. Sharing images that are fresh and clear, especially when it comes to products like food, which will surely tantalize the senses, can be almost as effective as the real thing. And if you have samples on-hand for that featured treat? Even better. Personalized texts have the potential to boost sales by up to, as some estimate, 77%. When you frame your SMS messages so that they are relevant to a specific audience segment, you face the possibility of much higher open rates. You can do this by, for instance, scheduling personalized welcome greetings to direct them towards holiday promotions. Do you have a popular product that was out of stock but now it’s back again? If you have some best-selling items that are in high demand, you can use an SMS message to notify shoppers immediately when it is back in stock. This service can also work well with e-commerce sites. 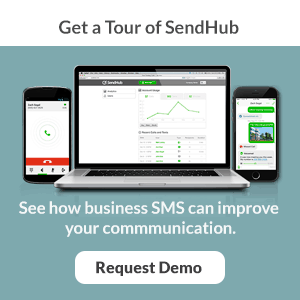 Send interested buyers targeted text messages using SendHub and get people in the doors. When your SMS strategy is well-executed, you can easily use it in combination with other types of messaging to create that omni-channel experience for your audience. For instance, promoting your opt-in valuables on social pages or via email gives users multiple opportunities to connect. Adding SMS text-to-join keywords in the mix could be just the recipe order for the best seasonal marketing brew. Not everyone likes using their mobile phone for shopping purposes, after all, so you can easily cross-promote through different channels to let them know that they have a choice, and choice promotes loyalty. As you develop your customer base, you can continue to use SMS as the first point of contact to build your database of customers. Use different messaging and interactive campaigns to attract attention, offer promotions, and encourage them to opt-in to exclusive deals. Invite employees or customers to opt in to your Christmas Party alerts. Everyone loves a good Christmas party. 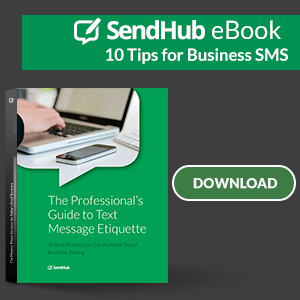 Make your text-to-join keyword catchy on SendHub. Ask people to text “HolidayParty” to opt into your Holiday Party alerts. AS you build this list, you can reuse it and send out an alert for your Christmas Party using that list next year too! Even if your customers are on vacation or visiting relatives, chances are they’ll still receive important text message notices. And if you provide the correct URL along with your message, you can share information about purchasing last-minute gifts online, too. Texting is a great way to grow your customer base and build relationships during the holidays and beyond. Reaching out via text offers customers immediate and specific messages through a channel they can’t miss. In other words, they’ll only be focused on your messages, rather than on social media. Your customers are bombarded by various distractions constantly. Business SMS marketing works during the holiday season for the same reason that it works for retail any other time of the year, it increases sales. Always be upbeat and not pushy during the holidays so that you don’t add to your audience’s stress levels. Wish them well,and be sure to share information about your business. Send fun bits of content instead of just trying to “sell.” The key here is to engage and the more you can do that on a personal level, the better. Always keep your lists segmented into specific groups. You should know which people should receive which message and who wants to receive them at all. Track your progress accordingly and use texting to collect new data as well. Also, make sure your business has permission to use their information, as privacy laws are tight. To learn more about how business SMS marketing works during the holiday season, try it yourself! Sign up for a demo today. We will be glad to help you with your Black Friday Specials this year!